Is this a security token or utility token? How much of a massive trading volume does the platform support? What are the complex orders that you are building? Will be willing to review rating if the team responds. First of all, thank you for your review of our project. - Massive volume is unlimited that our platform supports. Because we use technical platform NODE.JS. And our platform uses multi-server. If the transactions are nearly full of our servers, we can easily handle by opening a new server. All server run parallelly. - For the complex orders. We have stop limit, market buy, market sell, limit order. We have the same complex orders that Binance provide. Hope that these answer can improve the rating score about our project. Interesting project. Its an exchange but what is the key unique value proposition that allows it to differentiate itself from other big ones out there like Binance and huobi? First of all, we thank you for your review of our project. Good Team, Top advisor here.. KYC Done. Great Vision with unique idea. Wish them to get proper success. Team - Missing technical people and experienced Traders. Vision - No differences mentioned compare to existing exchanges. What is the USP? MVP - Its good but looks copied from available scripts. P.S. Your website is really slow! Great team and advisors. Kyc passed. Love the product coming forward and something I will use. A mix of central power with speed and decentralisation removing control. Wish you the best in delivery of a real use case. 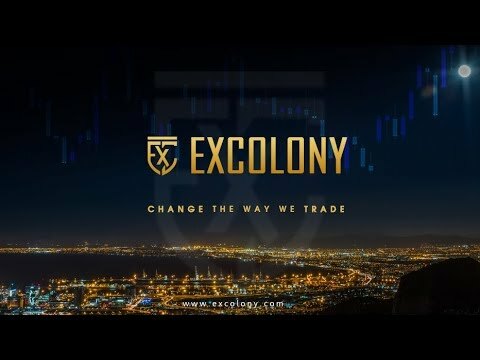 Presenting a new concept of Excolony to experts and communities. Presentin EXCOLONY cain and decentrilized exchange built on EXCOLONY chain.